Don't miss out on this gorgeous manufactured home with spectacular views of Willow Lake and the Dells from your cozy front porch. Spacious split floor plan with a gas fireplace and laminate flooring. Large master bedroom with walk in closet featuring California style built-ins. Refrigerator & washer/dryer included. 2 1/2 car attached garage with cabinets & workbench. RV parking pad with electrical hookup. Enclosed AZ Room plus a private covered back patio. Beautiful front & rear landscaping including a peach & apple tree. A large Tough Shed with workbench matches the home. No HOA! 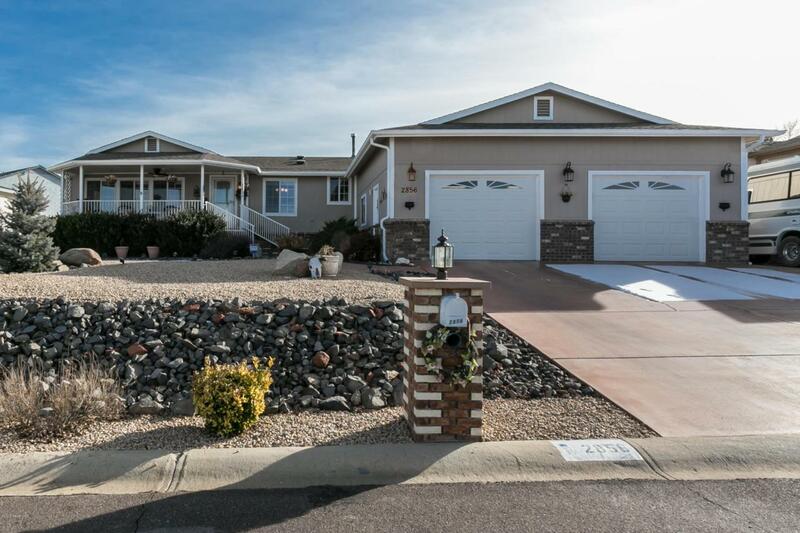 Perfect location close to shopping, hospital, hiking trails, Willow & Watson Lakes, and only 10 minutes to the downtown Prescott Courthouse square and restaurants. This home is immaculate and move in ready! Listing provided courtesy of Darlene Irvin of Better Homes And Gardens Real Estate Bloomtree Realty.